I think I've been procrastinating writing this post for some odd reason.... But it's time to finally reveal the "big news": I bought a longarm quilting machine! A good friend from my amazing book club, Kathy, who is a die-hard quilter, learned that our mutual friend, Marti, was selling her longarm due to an impending move. Kathy has known that I've been very interested in owning a longarm and mentioned this to Marti.... It all became a whirlwind of a process, but soon enough, this Viking Husqvarna 18x8 Mega Quilter is now occupying a large part of our basement. I'll admit that I've had some anxiety about this purchase and commitment.... But I was given a great price and the machine has not been overly used by any means. I was told by a reliable source that you don't come across this kind of deal on such a well kept machine very often. It's been my dream to own a longarm for a very long time. I've rented longarms for about seven years now and after renting for so long, it's become quite natural to want to own my own. Generally, when I go to the longarm rental places, I've felt a bit nervous because I am paying for my time and haven't felt that I could afford the luxury of practicing free motion quilting at $20-25 per hour.... Now I can practice in my own home and get my quilts quilted without waiting for my husband to have a day off so that he can watch the kids. I will say that I feel like I am more "used to" the Gammill longarm brand (because that's the kind I've rented for so long) and I can kind of understand why they cost many more thousands of dollars than this Husqvarna. I have to admit that I still want to own a computerized Gammill but owning this much more affordable Husqvarna will help me build my free motion quilting skills in the meantime without having large monthly payments and the pressure of building a quilting business while my children are so young. 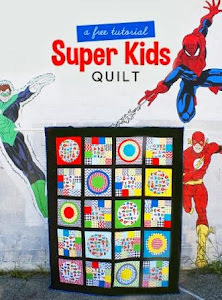 Speaking of my children, this summer has been turning out to yield very little sewing time, and I am sure you, my kind readers, are not surprised that I am reporting this and you may even be experiencing the same thing. I think this is a big reason why I am a bit stressed about the machine right now: I don't have a lot of time to work with it and practice on it lately. But a few weeks ago I gave myself a little internal lecture that went something like this, "Just chill out. You know you are glad to have a break from the school routine. Do not wish away this summer or the extra time with the kids. You got stressed when you had to go rent a longarm and now you're acting all stressed because you own a longarm. Chill!" Honestly, my little pep talk helped and now I am just trying to be okay with it not being used a ton right now and just be patient with myself. Even though I've complained about not using my longarm often enough, I have finished the Circle Circus quilt and will showcase that this Friday. One side note I'd like to add about renting longarms: long time readers of this blog know I just LOVED living nearby and renting from Laurena in Burlington, MA. She recently sold her business to a personal friend of mine: Louise Rains. So if you're one of my good readers from the Boston area, please continue to support that business and tell Louise I sent you. She's a great lady who was generous enough to have me over years ago and she actually taught me how to make and put on a real quilt binding (I used to fold the back of the quilt to the front for a makeshift binding.... *shudder*). Louise has named her new business Burlington Electric Quilters and I believe she's in the same studio Laurena had used. Congrats!!! How's the longarm going?! 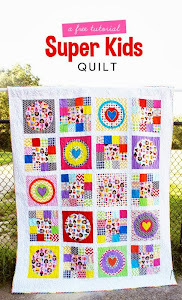 Very convenient to go to your own studio to quilt, in your own time frame. It's normal to feel anxious about it. I didn't sleep a wink the first night after mine arrived, wondering what in the world I did. It doesn't take long until one feels like--why didn't I do this sooner?!!! Wow, this is so amazing. I didn't know that this longarm have some great advantages. Thank you for posting this with so many great details.